Here at Metromile, we’re all about providing a more fair and affordable insurance option for low-mileage drivers, but we don’t stop at just helping our customers save money. We also have a smart driving app that takes the hassle out of car ownership, with useful features like a car locator and street sweeping alerts (in select cities). Now, we are giving customers an even easier way to save with a new billing feature, which tracks mileage costs throughout the month. The inspiration for this feature came from our loyal customers. Since Metromile’s pay-per-mile insurance model is unique in that the monthly bill is based on mileage, pricing can change from month-to-month depending on how much is driven. Many of our customers said that they would find ways to drive less if they could track their bill throughout the month. That’s exactly what this new feature will allow them to do. Now, customers can see how each mile they drive affects how much they pay. By keeping tabs on monthly mileage, it’s easier than ever to stay in control of how much customers pay (and save). 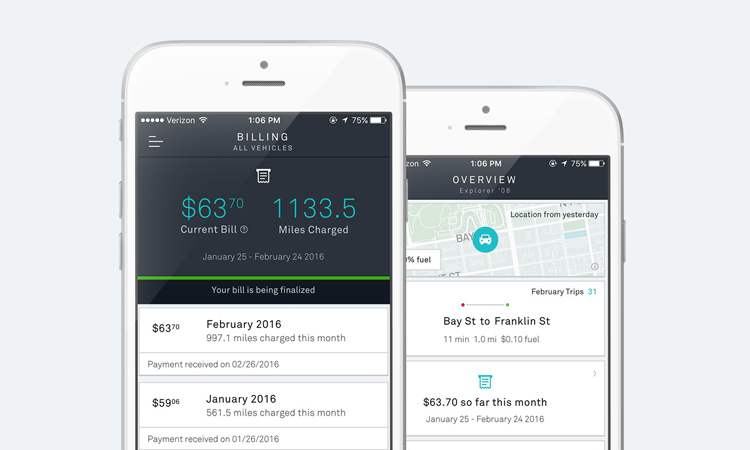 If you are a Metromile customer, the new Billing feature is simple to use. Open our app and you will see the new Billing card appear on the overview screen, giving a quick glance at your charges to-date. You can then click to drill in deeper and see the breakdown of your current bill, as well as previous bills. If you have an idea of how Metromile’s app could be even more helpful, don’t hesitate to drop us a line. You can reach us at appfeedback@metromile.com. Happy driving! I would love to see you develop features like Voyo and Automatic have (e.g. keyless entry, remote start). I previously purchased a Voyo but have not received the unit from the Crowd sourcing campaign and now have Metromile where that device would have been. I would love to see more Smart features. Hi Keith – We’ve passed along your suggestions to our app team, thanks for sharing! It’s still lacking an input for the cost of fuel. Driving costs aren’t accurate as a result. It seems to me that it wouldn’t be that difficult to have a feature where the amount and cost of gas fillips could be easily inputted. The maps showing trips used be expandable, but now are just thumbnails. Hi Jonathan – We’re sharing your suggestions with our app team, thanks for passing them along. Our redesigned app lays the foundation to build great new features and improve existing ones as well. Keep an eye out for more updates to come! Can you cover driving for Lyft and Uber with mileage from Lyft’s commercial policy at the same time ?